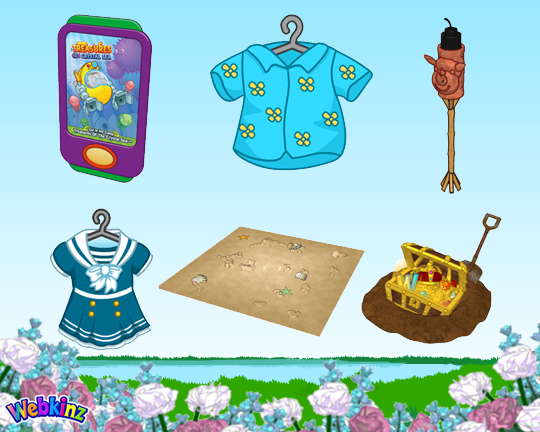 for items from the Webkinz Superfan Theme! and enter that day’s code in the Code Shop. The codes are valid for one day only so be sure to log in every day. and receive a free 6 pack of White Chocolate Eggs! and receive a free gift! 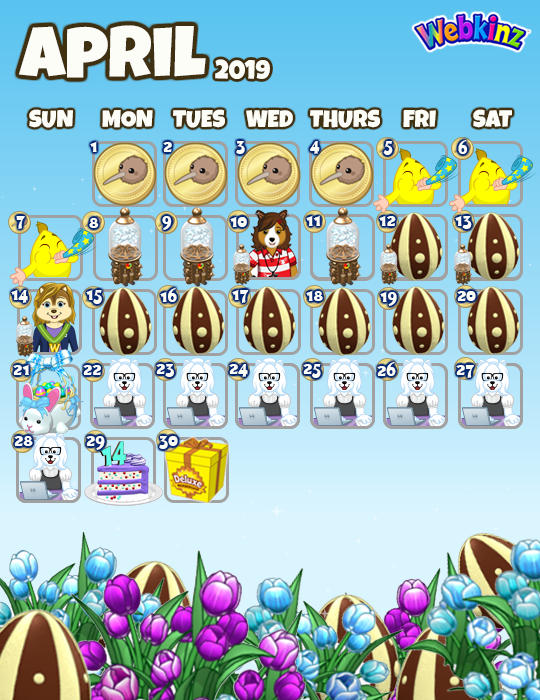 Each time you feed a chocolate egg to your pet, you’ll earn a spring themed prize. 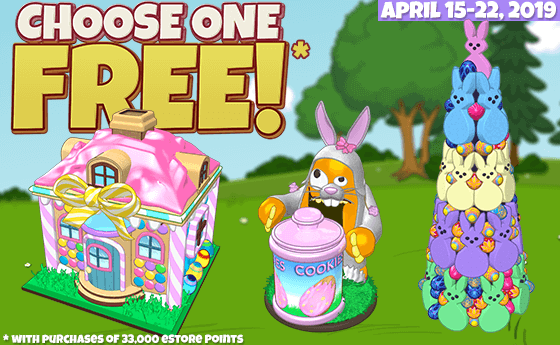 Starting April 12th, look for cartons of white chocolate eggs available for eStore points in the W-Shop. room and your white chocolate eggs will be added to your Dock. Spring Celebration Gift Basket Prizes Revealed! 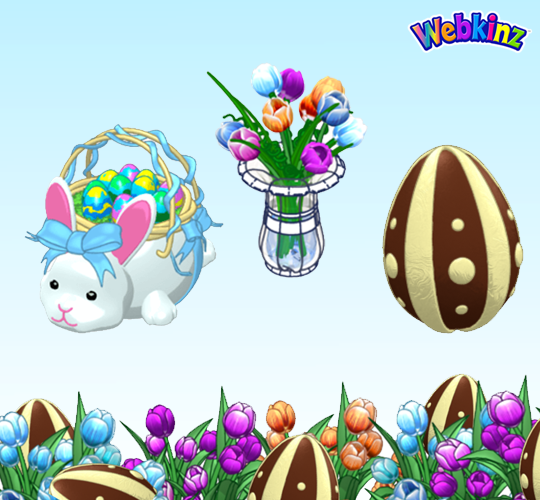 Happy spring from all your furry friends in Webkinz World! egg holders so that you can display your own painted eggs at home. a free code. 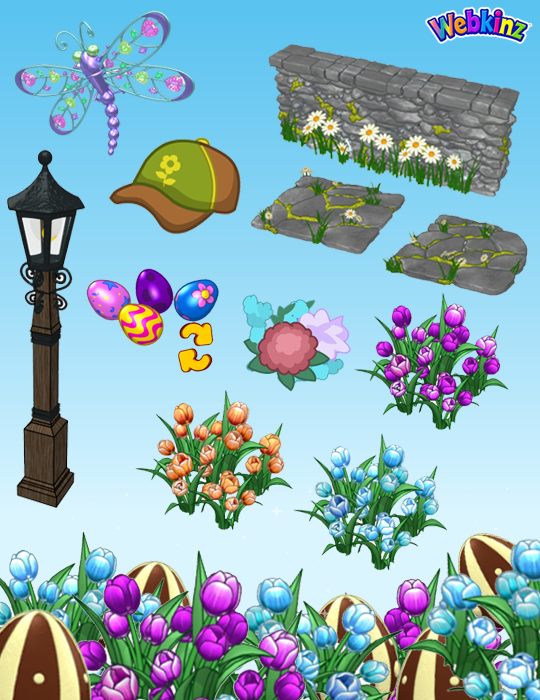 Enter the code at the Code Shop on Webkinz.com to get your painted eggs. 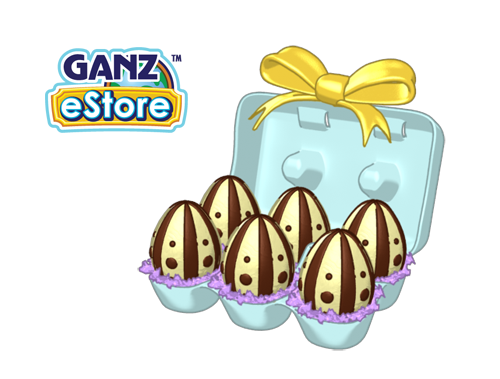 You can redeem your virtual egg holders by entering the codes in the Code Shop at webkinz.com. 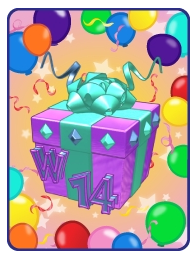 Codes award one item per Webkinz account and expire at midnight EST on June 30, 2019. What are you excited to win on our prize wheels? Kinzville over the next few weeks! Let’s take a look! 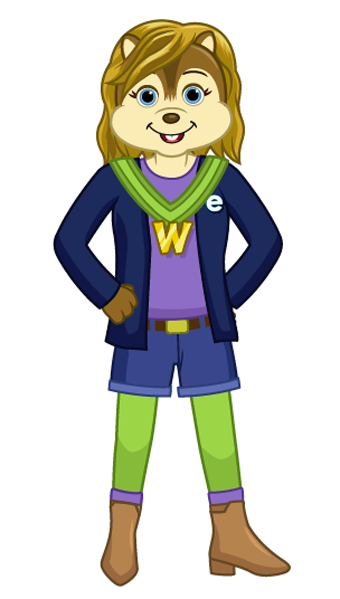 Webkinz Newz to learn how you can also get the hat and boots for this costume! Webkinz mobile app! Drop by and pick up some cool fashions for your pet today! 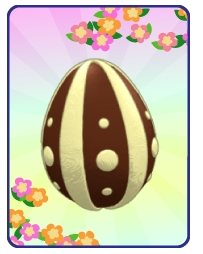 Our 2019 Chocolate Egg Event runs from April 12th until April 21st! 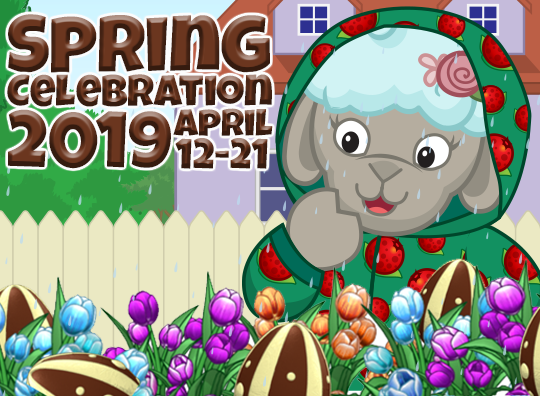 Collect 2019 Milk Chocolate Eggs around Webkinz World and feed them to your pet to win prizes! 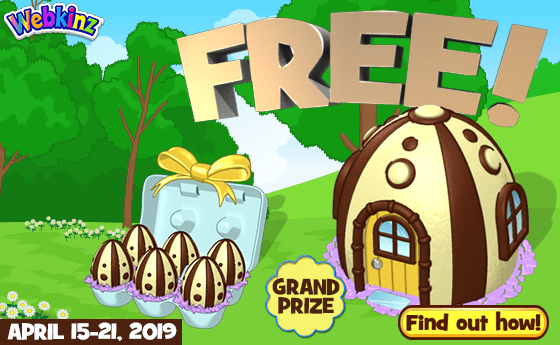 Milk Chocolate Egg prizes, with a chance to win 1 of 2 GRAND PRIZES! filled with some super celebratory prizes! 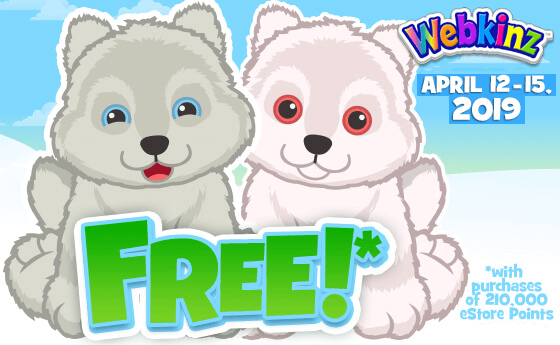 Our latest Webkinz Newz Week event runs from Monday, April 22nd until Sunday, April 28th! prizes we have planned for the week! and find all sorts of fun events and prizes to be won, including a chance to spin the Super Wheel! 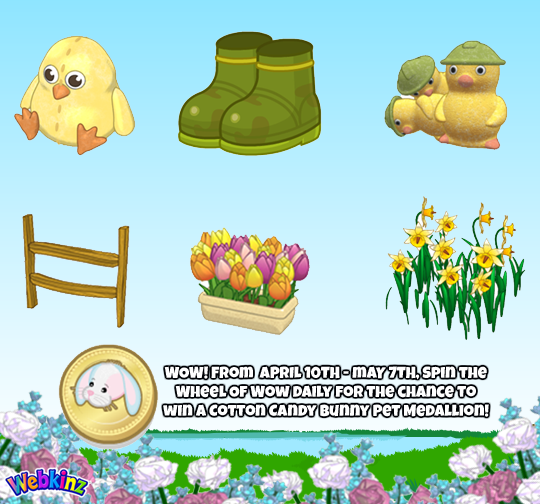 Make sure you keep collecting your Kiwi Bird Pet Medallions throughout the month of April! have lined up to celebrate the arrival of this new pet! 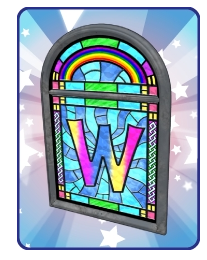 don’t forget to pick up your special prize: a Webkinz Stained Glass Window! 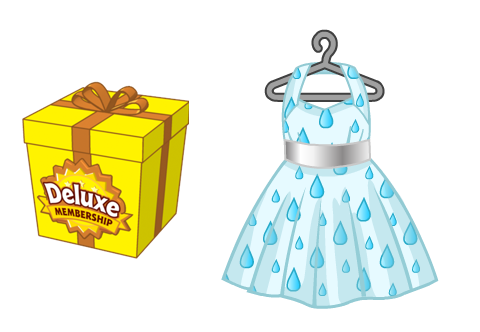 Deluxe clothing item for the month of May is a Spring Shower Dress! 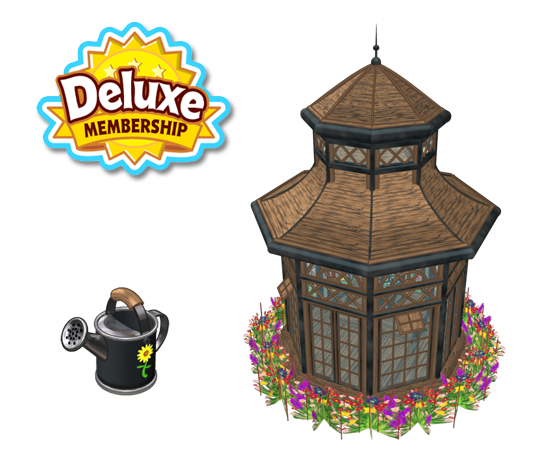 A new monthly challenge arrives for Deluxe Members on May 1st! to help you with your NEW Iron Wood Greenhouse! 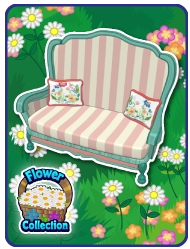 The 2019 Flower Collection Event runs throughout the month of May! you can win some fabulous floral prizes! 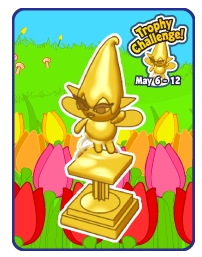 Our next Trophy Challenge runs from Monday, May 6th until Sunday, May 12th! along with a NEW Tulip Troubles Trophy! 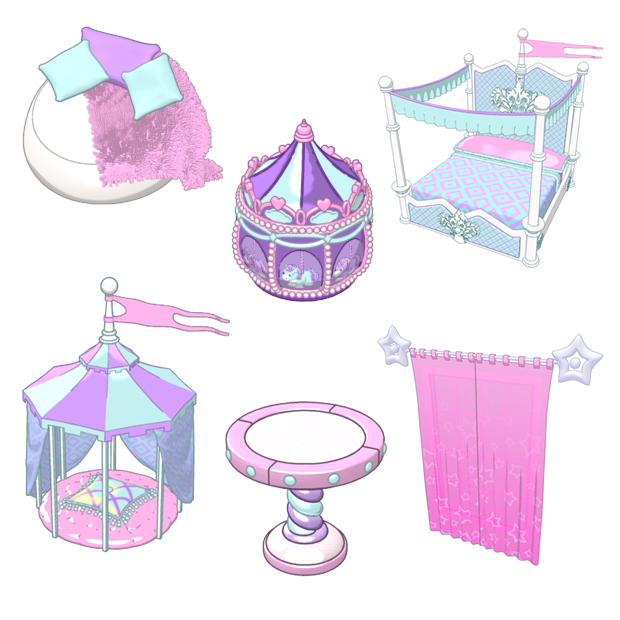 updates about how we’re making Webkinz World the best it can be! 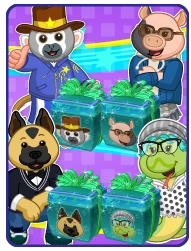 Candy Apples to your pets to complete your mission. Radical Rainbow Cake Pop, a Wish Token, and a Purple Unicorn Rocking Horse! around between April 10 and 20! You can get one per Webkinz account a day! 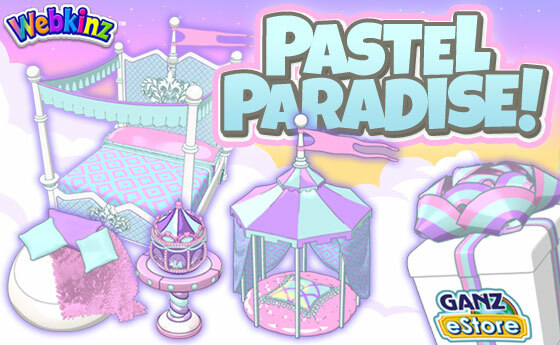 Visit The Lil Purple Unicorn In The Clubhouse! eggs painted by Spring Celebration on April 21! to your pets will help complete your challenge. 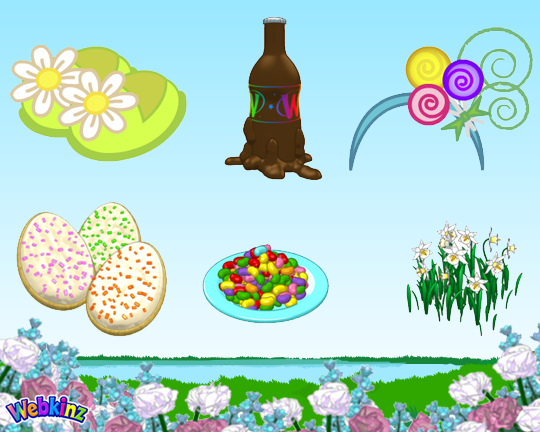 Look For Floating Eggs On Webkinz Newz! 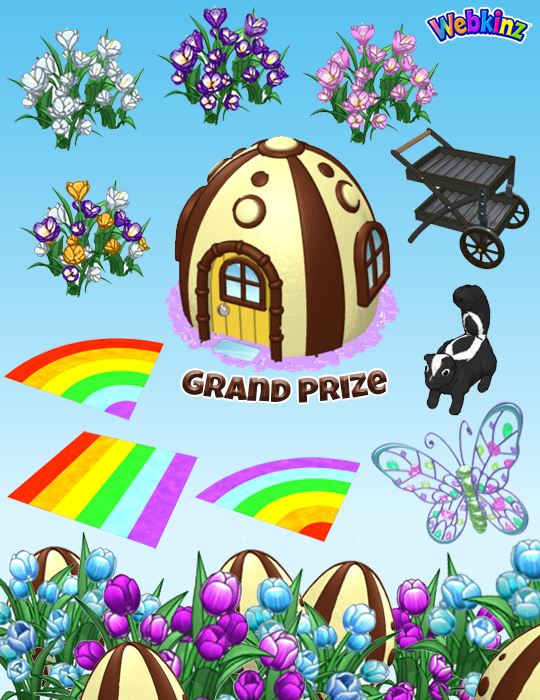 The Lil Spring Unicorns need your help painting eggs in the 2019 Spring Celebration Challenge. 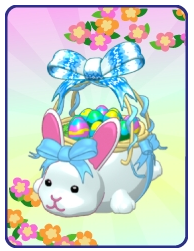 one prize of Foil Wrapped Eggs per Webkinz account per day! and pick a free gift! 2019 Spring Mystery Clothing Bag Is Here! 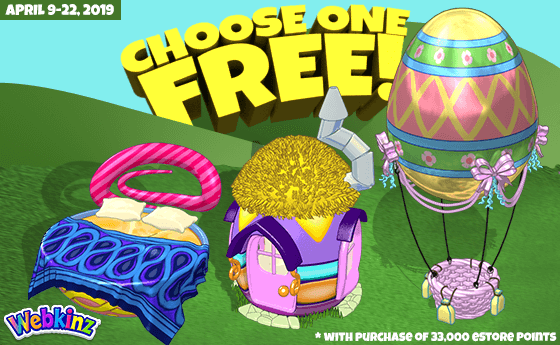 Collect Kiwi Bird Pet Medallions This April! "Are you ready to collect Kiwi Bird Pet Medallions? We’re celebrating our 14th anniversary all April long with this adorable flightless bird. 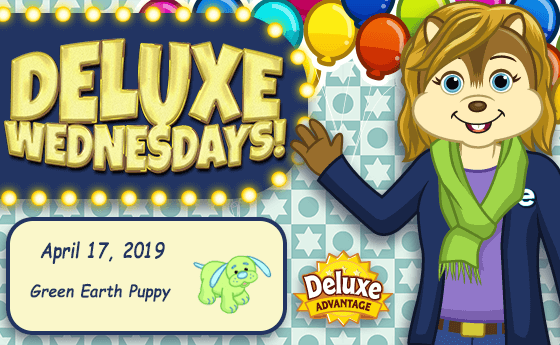 You can collect up to 4 each day — 5, if you’re Deluxe! 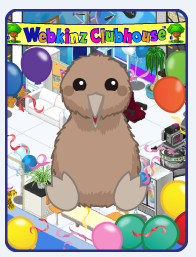 Be sure to also log in on Webkinz Day (April 29) to get your Webkinz Day gift — it will include 25 Kiwi Bird Pet Medallions! 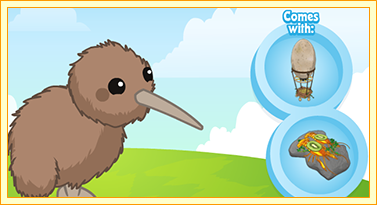 Collect and redeem 100 Kiwi Bird Pet Medallions to adopt your very own fan-designed Kiwi Bird virtual pet! This delightful little bird comes with a Great Eggscape Hot Air Balloon and Earth Oven Crayfish. Remember: adopting a Medallion pet does not extend your membership." Are you excited for this event? 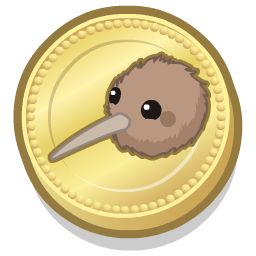 What do you think of the Kiwi Bird? SEE WHAT'S HAPPENING IN APRIL! 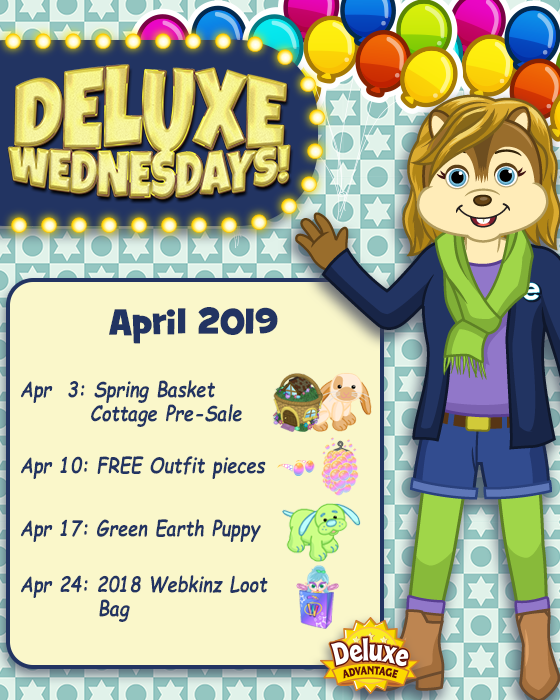 There’s a lot happening in Webkinz World throughout April, including the chance to adopt a Webkinz Kiwi Bird… for free! 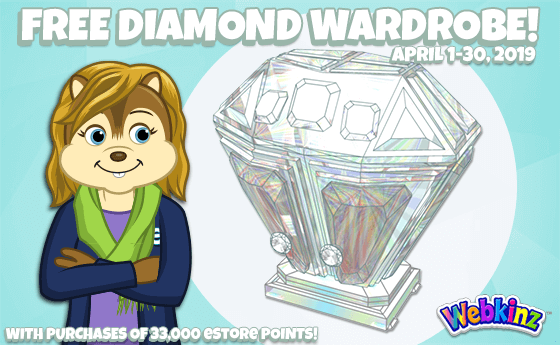 The Leopard Cub pet will be “peeking” around Webkinz Newz this April , and he’s got a bunch of prizes you might win! 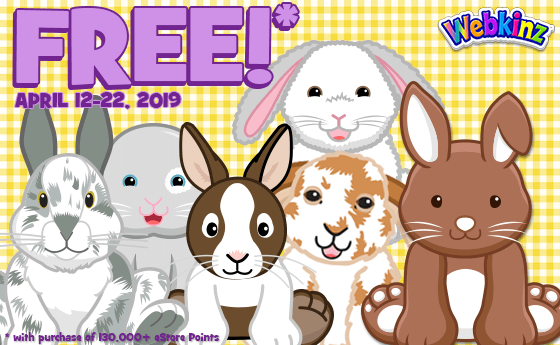 around Webkinz Newz and you will win a 2019 WKN April Gift Box. Open it to receive a random prize from the April Prize Pool. 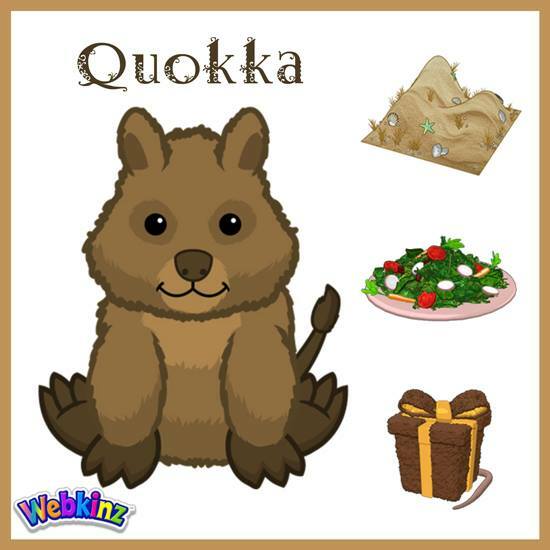 It's definitely going to be a g'day when you add the quirky Quokka to your family of Webkinz pets! This marvelous macropod loves living in warmer climates, so they're sure to enjoy playing around on their Sand Dune Slide! They're also a strict vegetarian, so when they're looking for a snack, make sure you feed them their favorite: some Savory Greens Stir-Fry! Purchase 5x or 10x multiples of the "2019 Spring Super Mystery Bag"
and receive a 10-15% discount! 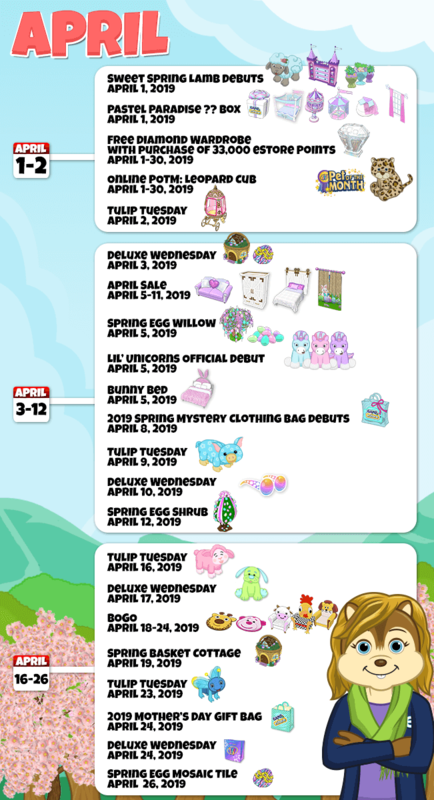 10x "2019 Spring Super Mystery Bags" items to your cart. Discount will be applied at time of checkout. You’re sure to be surprised when you spring for this super mystery bag! You never know what you’ll find inside! 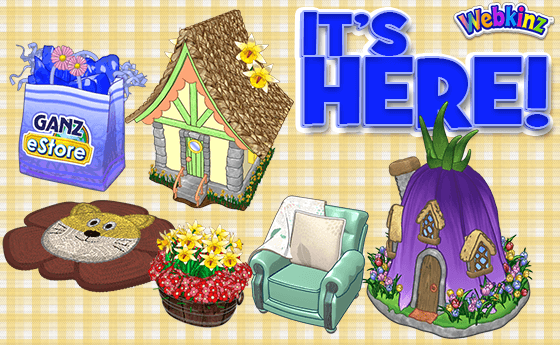 Drag and drop your Spring Super Mystery Bag from your Dock into your Pet’s room. Watch as it magically awards mystery items to your dock! 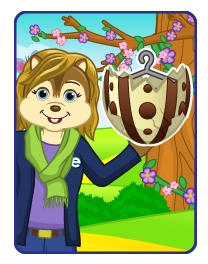 Super Exclusive or RARE tradeable/sellable item per bag!